Now all tree parts of the POW WOW Hawaii 2012 Recap video series are online. Watch the full story! Some of the best days in my life! Can't wait to be back in 2013! On a sunny day i accidentally sneaked in as a little onlooker to hang out with Loomit, Nychos and Cone at the "Himmel trifft Erde" project at the abbey St. Ottilien in Bavaria. Good food & times. Thanx! Watch a little TV documentary here. 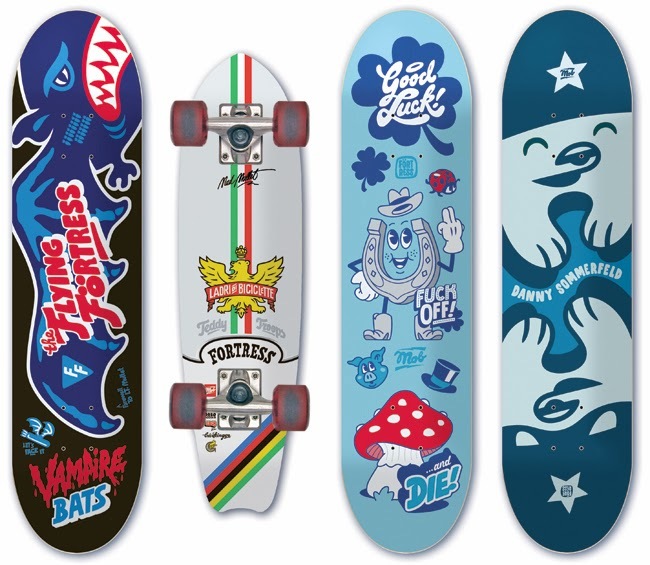 I did a bunch of new designs for MOB Skateboards. They are all available now at their webstore and your local dealer.